The EFG London Jazz Festival, the capital’s biggest pan-city music festival, takes place from 14 – 23 November and is this year showcasing a particularly exciting mix of talent from Africa and the diaspora. Among the musicians selected to perform are Angélique Kidjo, Kassé Mady Diabate, Abdullah Ibrahim and Dedication Orchestra. The festival also promises an eclectic programme of free talks, interviews, films, workshops and events for young people, several of which have been scheduled to highlight the massive contribution made by South African artists to the worldwide jazz scene. Grammy Award-winning singer/songwriter Angélique Kidjo performs songs from her new album Eve. Hailed as ‘the undisputed queen of African music’, Angelique Kidjo has long been making waves in the jazz and pop worlds, collaborating with the likes of Carlos Santana, Josh Groban, Peter Gabriel, Branford Marsalis, and Alicia Keys. In 2011, The Guardianalso listed her as one of the world’s top 100 most inspiring women. Dedicated to the women of Africa, Eve fuses Kidjo’s African-influenced soulful singing with musical styles from across the globe. She will be joined by Nigerian singer Asa and an all female choir. A very rare opportunity to see this joyous rollercoaster of a big band. They evoke the story of five South African exiles who transformed jazz after finding their way to Europe in the 1960s. Fired by the whipcrack drumming of the one surviving member of the Blue Notes, Louis Moholo-Moholo, the music of Chris McGregor, Dudu Pukwana, Mongezi Feza and Johnny Dyani continues to live and breathe in ‘a bustling mix of freedom and discipline, of community and individualism’ (The Guardian). The Dedication Orchestra brings together successive generations of musicians who have been inspired by the passionate commitment of this music. They include Steve Beresford, Claude Deppa, Maggie Nicols, Evan Parker, Keith Tippett, Julie Tippetts and Jason Yarde. A panel of musicians and specialists discuss the development of South African music and culture in Britain. Following Dedication Orchestra’s South African-inspired performance, musicians and experts come together to discuss the impact of South African musicians, who were exiled by apartheid, on British culture and the musical journey of South Africa in the 20 years since democracy. One of the most charismatic performers in jazz today, South African pianist Abdullah Ibrahim has been at the forefront of the jazz scene for over fifty years. 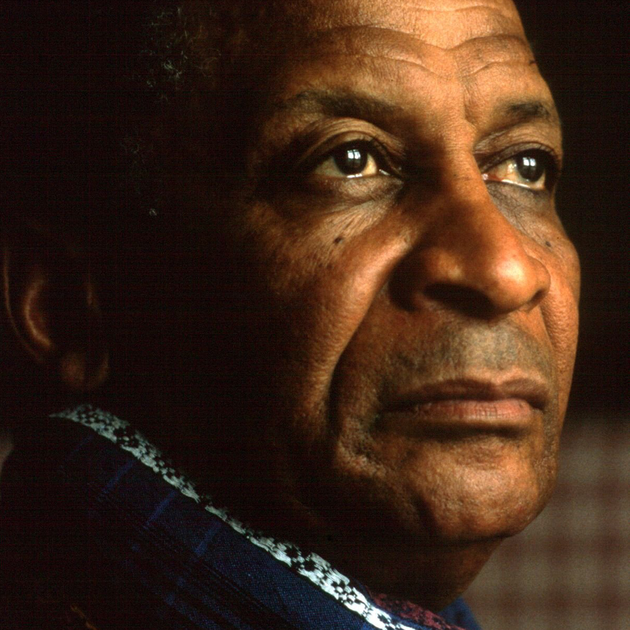 Abdullah Ibrahim’s music has long tracked the turbulence of his South African homeland’s history, matching its past struggles and current optimism through music of great hope and deeply reflective soulfulness. The evening brings together the township jazz of his septet Ekaya and music from a brand new trio with Cleave Guyton (reeds) and cellist Noah Jackson. Kassé Mady is one of Mali’s greatest singers, a griot of the Diabaté family, and he plays this special concert with the group that has just recorded his new album Kiriké on the Nø Førmat! label. These are Ballaké Sissoko, who explores new paths for the kora with a deep respect for the tradition, ngoni player Makan Tounkara and Lansiné Kouyaté on balafon.